Organize priorities around a long-term plan for retooling your operation into one that consistently outperforms the competition. Our entrepreneurs are among the most successfull in the nation at starting and developing new businesses. Click below for hightlights of Montana's economic performance. Information on pay, job satisfaction, and other important workplace topics. Click below to see the report! 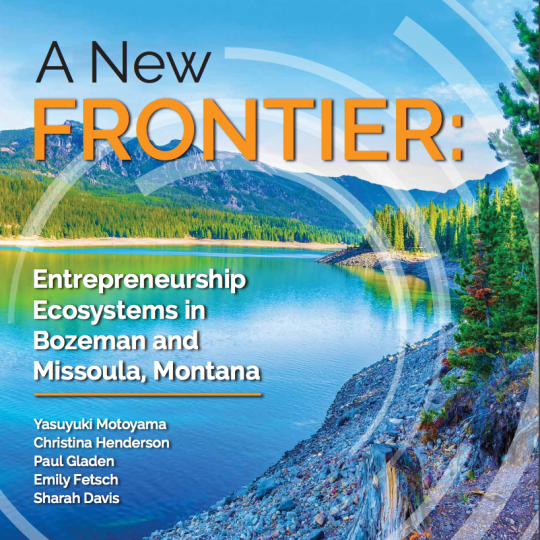 Take a look at the New Frontier's port on the Entrepreneurship Ecosystem. Read more about this survey report. Take a look at Montana small business dominated manufacturing industry's concerns and potential with this indepth look from 2016. Take a look at occupational employment and wage rates for all full-time and part-time wage and salary workers in nonfarm industries covered by unemployment insurance. Take a look at the State of Manufacturing in Montana in this report prepared for MMEC by the Bureau of Business and Economic Research, looking at manufacturing. At last! A look at the small manufacturing world with profiles, concerns and potential.